Navicade | Alpine Products, Inc. 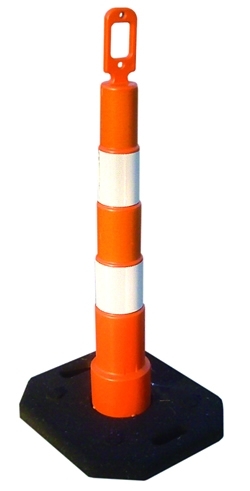 Unique angled handle allows workers wearing gloves to set up delineators with flashing light attached. Affordable and rugged channelizing device operates like a barrel, but is less expensive and just as effective. Bases are made from 100% recycled rubber.